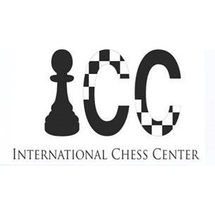 International Chess Center (ICC) is a licensed company based in Dubai offering one-on-one or small group classes to students looking to compete in chess as a sport. ICC takes pride in its students who have aced different chess tournaments in the country and abroad. Students who trained with ICC have become World and Asian Junior Champions under the 8, 10, and12 age categories. A number of these students have even achieved Grandmaster and International Master titles. All classes are taught by chess grandmasters and masters which can be done at the center or at your own premise.